Today we launched details of our upcoming SoulCalibur VI Create a Soul Competition which begins December 1st and ends on December 14th. Players can snag a first prize of £50 (or local equivalent) a quality deck of SoulCalibur VI themed playing cards. Second and third prize a SoulCalibur VI themed steel case + playing cards. 6 runners-up will get a SoulCalibur VI themed set of playing cards. 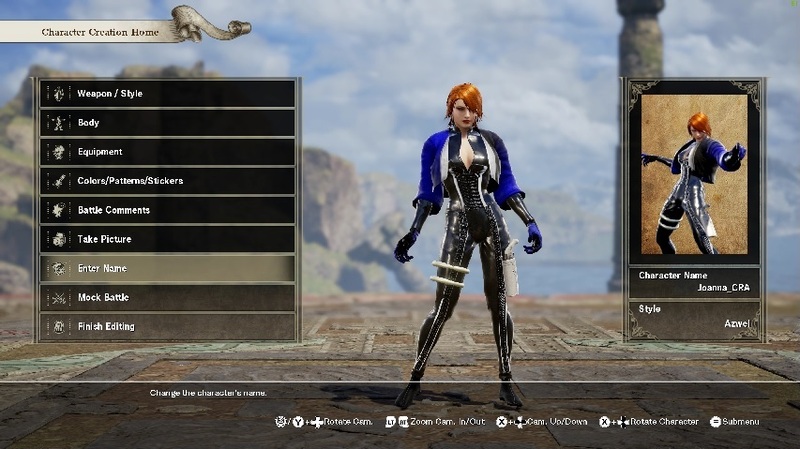 create an original or recreated character from a movie, anime video game using the SoulCalibur VI Create Character (Xbox/PS4/PC). Make sure to add _CRA to the end of the name. Take a screenshot of the edit main screen which shows the character and name (see below). 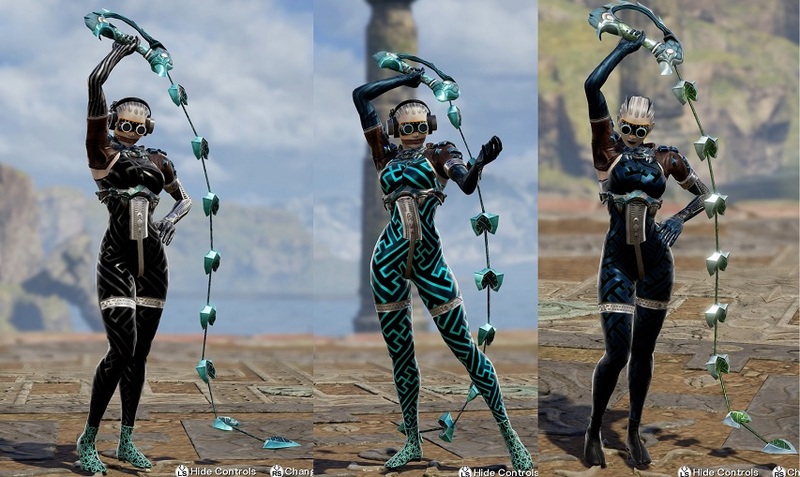 Mail it over to soulcalibur6comp@hotmail.com. Wait until after the closing date (December 14th) to see if you won (winners will also be notified by email). -Only 1 entry per person – multiple email accounts for the same person will be instant disqualification. -1st Prize winner will get £50 in their local currency via Paypal or PSN, Xbox Live, Steam Credit. A deck of SoulCalibur 6 Playing Cards. -2nd Prize winner will get a SoulCalibur 6 Steel Case + a deck of SoulCalibur 6 Playing Cards. -3rd Prize winner will get a SoulCalibur 6 Steel Case + a deck of SoulCalibur 6 Playing Cards. -6 Runners-Up will get a deck of SoulCalibur 6 Playing Cards. -Any disputes over original works will not be entered into by the judges. If there is a dispute over ownership of design then the entry will be disqualified. -failure to acknowledge win after 5 days will lose the prize and it will be passed to another entrant. -This competition is not in affiliation with Youtube or Bandai Namco Entertainment or its affiliates. -All entries must comply with Youtube’s Guidelines as seen here – https://www.youtube.com/intl/en-GB/yt… and are wholly compliant and consistent with the YouTube Terms of Service. -YouTube is not a sponsor or liable for anything related to this contest. -All personal data (name, emails and mailing addresses) will not be shared with any third parties or affiliates aside from the Postal service (Once winner grants permission to mail prize) and in accordance with data protection laws. -Postage might take some time to reach winners depending on the country. Please be patient. -If any issues occur with postage such as item(s) damaged or undelivered, then no alternatives will be offered. -Please understand this is a fun competition from my own resources.